Every useless help given to the child becomes an obstacle to his development- this is not merely philosophy but a fact to which we attach fundamental importance. As she grew older, I became more protective. After all, I had already gone through those aches and pains of growing up. Shouldn’t she benefit from my experience and wisdom? I remember time and time again, my mother telling me that my sister had to experience things herself if she was really going to learn. If I kept fighting her battles and telling her what to do, she would never grow to be a competent adult. I mention this because I recently read a paper titled, A Change Within: Removing Obstacles to Development, by Lynne Lawrence, written in 2005 for the 25th International Montessori Congress in Sydney, Australia. Lawrence reminds us that to truly help the child, we must remove all obstacles to the development of the child. Oftentimes, that obstacle is the teacher. As Montessori educators, we realize the importance of following the child and working on behalf of the child. 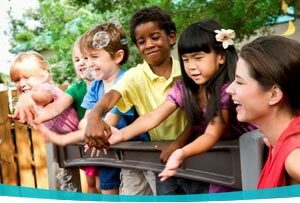 We realize that children are precious and that they are “a hope and a promise for mankind.”(Montessori, Maria. Education and Peace. 1949). As we studied and trained to become Montessori teachers, we relished the words of Dr. Montessori and promised to become faithful observers in the classroom. We come to the classroom eager to nurture and help children discover the pathways of learning. However, this eagerness often impedes our purpose of creating self-reliant, responsible citizens. In The Absorbent Mind, Dr. Montessori states that “It is necessary for him (the adult) to learn restraint towards the child. We preach moderation and patience as a basic preparation for the teacher and moderation and patience to all mothers and fathers and to all those who come into contact with children.” Upon one of my first visits to a Montessori classroom, I observed a group of 3-to-6-year-old children who were coming in from recess where they had been playing in the snow. As one young boy came in, it was obvious that he was in desperate need of a tissue. Rather than hurriedly wiping his nose for him, the directress quietly, calmly and respectfully suggested he might wish to find a tissue. I watched this young child slowly find a tissue and proceed [messily] to wipe his nose. I later commented to the directress that it would have faster and certainly more hygienic if she had helped him. Her comment was eye-opening. She told me that her purpose was to teach the children to be self-reliant. She said that often, an adult offers help to a child when they don’t need it. This impedes the development of the child, making him reliant on adults. He begins to see himself as unworthy and incapable. So, in fact, we may be doing more harm when we are offering help. Pay closer attention to what naturally motivates and guides the child. Extend our understanding of the principles and practice the ‘tools’ we have at our disposal (the prepared environment and the materials that we use within it). Develop the art of sustained observation of the children, learning to note what is meaningful and significant. Pay closer attention to what motivates and guides our thoughts and actions. Debate our understanding of the principles and practice (the prepared environment and the materials that we use within it). Develop the art of observing our own actions and interactions with the children and adults within our daily lives. “Not to interfere (when a child begins to concentrate) means not to interfere in any way……If the teacher merely says ‘Good,’ it is enough to make the trouble break out all over again.” (Montessori, Maria. The Child in the Family). 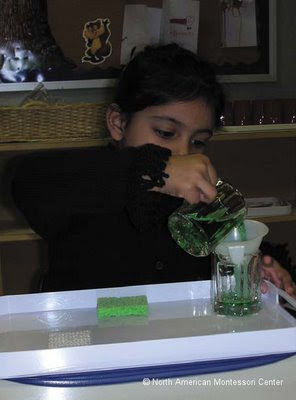 Montessori also gave clear directions not to do for the child what the child is capable of doing herself. She stressed repeatedly the need to observe first and act second. She also recommended observing how children offer each other help, as they are often the best teachers and role-models for the adults. There are some who will argue that this freedom found in the Montessori classroom means that the children are free to do what they want. But it is the embracing of responsibility that brings freedom. According to Montessori, freedom is defined as the ability to be the master of one’s self. When the child can grow by his own inner laws and direct himself toward meaningful and constructive activities within an ordered environment, then he experiences freedom. 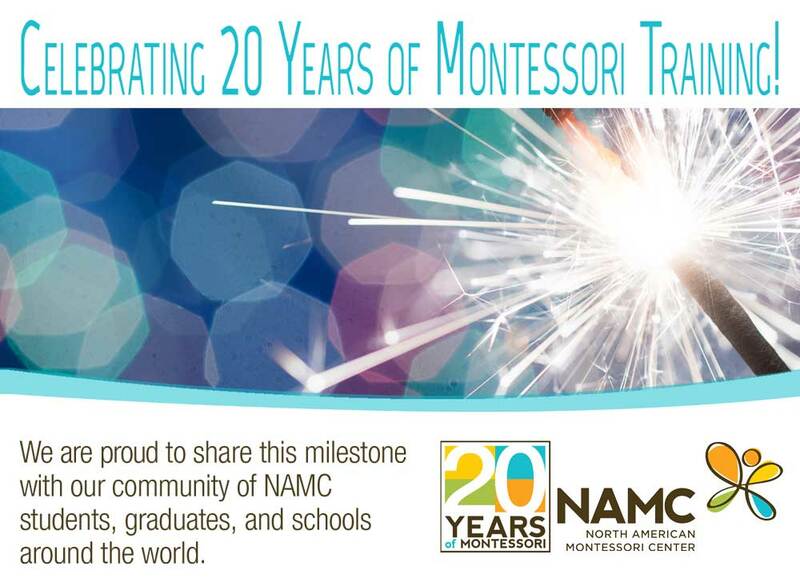 NAMC’s Classroom Guides include Montessori theory, administration, and classroom management, stressing the value in personal preparation of the Montessori teacher and the Montessori environment to encourage and nurture independence and confidence in the child. © North American Montessori Center - originally posted in its entirety at Montessori Teacher Training on Tuesday, February 24, 2009.